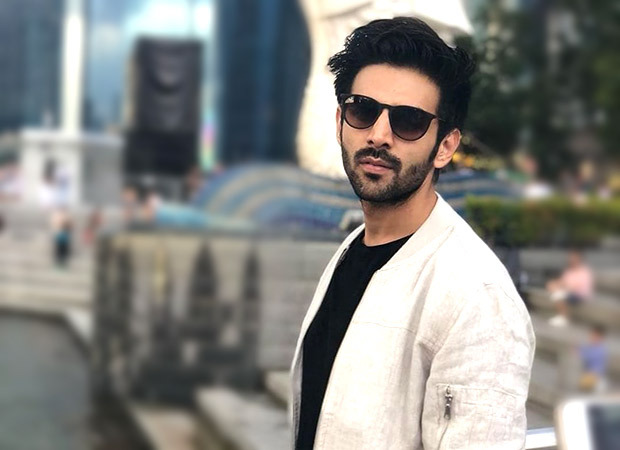 Actor Kartik Aaryan on Tuesday gave fans a glimpse of his much-awaited look from upcoming film ‘Pati Patni Aur Woh’, which also stars Ananya Panday and Bhumi Pednekar in pivotal roles. Drifting away from his usual boy next door look that he sports in many of his romantic comedies, in this picture, Kartik can be seen in a simpler avatar, wearing a checked shirt and trousers. His character in the picture resembles Shah Rukh Khan of Rab Ne Bana Di Jodi. The remake is being directed by Mudassar Aziz, who has previously helmed films like 'Dulha Mil Gaya', 'Happy Bhag Jayegi' and 'Happy Phirr Bhag Jayegi'.